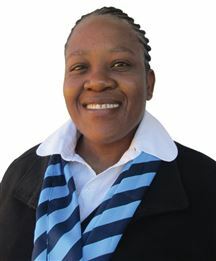 Antoinette worked at the South African Police Service as well as in the building environment. She holds a National Diploma in Purchasing Management. She joined Harcourts Maxima as an Intern Estate Agent in 2017. Antoinette is a goal driven achiever. Her love for people and her passion for property ensures that her client's needs will be met at all times. She will give the most efficient service of which she will be capable, rendering the fullest possible quantity and the best quality of service. Through on effective follow-up service, she will retain her clients as lifelong acquaintances. Antoinette will do business in a manner that reflects our core beliefs which is honesty, integrity, professionalism, and transparency. She will do her work with pride, and enthusiasm. If you want to buy or sell any property in the Pretoria-North, Wolmer or Florauna area, do not hesitate to give Antoinette a call. Busi Moloi holds two degrees (Bsc in Agriculture and Bcom I Industrial Organizational Psychology). She worked for 8 years in an international flower company. The company was producing and processing between 850 000 – 1, 000 000 stems per week. It was sending good quality flowers to international companies such as UK, Japan, Australia, and Dubai. Locally it was selling its bouquets to Woolworths. In 2015 she joined the company called Kirby where she discovered her potential as a sales agent. Busi always adds element of creativity in her own way which proves the ability to find her own way around things especially when dealing with clients. With a pleasant personality and the ability to communicate with different types of people, she gained much of client’s respect and appreciation. In 2016 she joined a company called Harcourts Maxima which is based in Sinoville. 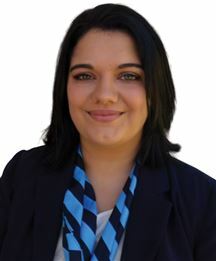 She is currently an intern estate agent working under the supervision of the branch manager Sonja Van Gericke. Busi serves in Theresa Park, Hesteapark, Clarina and the Orchards. Elsabé van Rooyen started her property career in 2008. Since then she is selling townhouses, houses, flats and plots in Witbank and surrounding areas. Her love for people and her enthusiasm about property is a good combination for satisfaction and success. It is one of her priorities to create and maintain good personal relationships and she has built a vast client database overt time. She will always endeavor to achieve the best results for both the buyer and the seller and would love to assist you with your property needs, she ensure that her client always come first. Elsabe is a Full Status Qualified agent and has completed her Professional Practitioner in Real Estate (PPRE) and continues to improve on her skills and development with ongoing training through Harcourts, and the Institute of Estate Agents of South Africa. Her focus is and will always be helping others achieving their goals. My Real Estate career started in 2000 at Huizemark Properties where I worked for 3 years, with a lot of highlights to remember. In 2003 I joined AIDA for 8 years. 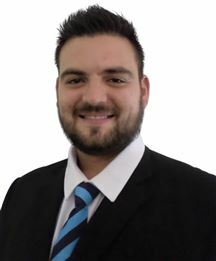 After working for 8 successful years at Harcourts Potchefstroom, I moved to Pretoria and joined Harcourts Maxima in September 2018 as a full status agent working in areas Montana Gardens, Magalieskruin and Montana Park. Some of my many awards at Harcourts include Bronze, Silver and a Platinum award and the Certificate of Excellence award. I am proud of the fact that in my 19 year career as Real Estate agent, I've sold more than R 100 000 000 of property, successfully sold and registered. My career is based on one belief: In my business, I do not work with stones, concrete or soil, but with people. People who entrust me with their most valuable investments to sell or buy. My philosophy has not changed a bit. My success is based on my ability to satisfy people and to provide in their needs regarding property transactions. My passion is working with clients, be it buyers or sellers. Being professional at all times and to make sure their interests are at the top of my priority list. If you are looking to buy or sell property, contact me today. The buying or selling of your property is the most important investment that you will make and where a lot of emotions and finances play a big role. In this case, I am the best person to assist you with my expertise and knowledge. Our values: People first Doing the right thing Being courageous Fun and laughter is what makes us the perfect company to work with. Gwen worked in the retail segment, starting as a Cold Canvassing agent many years ago. During her years as a very successful Vehicle Sales Executive, it's always been a dream of her to become a Professional Estate Agent. She is an energetic, enthusiastic, and courageous person, who would like to have fun while achieving her goals. Gwen is totally committed in putting her client’s needs and requirements first. She has access to an excellent web site design, social media tools, email marketing and data base management tools, to give landlords, tenants, buyers and sellers the leading edge. During early 2016, her dreams came true. She became a registered Intern Estate Agent at Harcourt Maxima, Zambezi, Pretoria. She currently operates in the Annlin and Wonderboom area. Harcourts Maxima would like to introduce our newest intern estate agent. We are very excited to have Kgaogelo as part of our sales team. Kgaogelo Molefe obtained her Matric Certificate in 1997, then in 2000 studied Criminal Justice System at Technicon Pretoria where she obtained another certificate. She worked as a Sales Consultant for many years and she loves to help people by making their dreams come true. In 2009 she decided to go back to school where she studied FEA (Financial Management, Economics and Accounting) with Tshwane North College, and obtained her Diploma in 2011. Kgaogelo also worked at Matla Life Investment as a Team Leader then in 2017 she joined 21st Century Life and worked as a Sales Manager and helped with MIP capturing. Kgaogelo joined Harcourts Maxima Real Estates in June 2018 and will specialize in all real estate transactions in Soshanguve and Hammanskraal. She’s very passionate about her new career and loves helping people. Her goal is to pay off her house and buy herself a new car of her dreams. Kgaogelo will work with Sonja (her branch manager) and will be able to assist all sellers and buyers. She strives to give excellent service is something you might want to experience. Ruan Engelbrecht is your local intern estate agent from Harcourts Maxima. He embodies integrity, energy, hard work and creative service in every detail of your real estate transaction. He understands that buying and selling real estate can be stressful. Ruan will work hard to lower your stress level and make your experience as pleasurable as possible. He will accomplish this through constant communication and by being accessible whenever you need him. Ruan has access to an excellent website design, social media tools, email marketing and database-management tools to give buyers and sellers the leading edge. Ruan currently operates in the Doornpoort area in the Northern parts of Pretoria, where he grew up and lived for 24 years.